ACDID60520 ACDMA172 ACDCA53216 ACDSEP ACDSP ACDTY9 ACDGC PeSAMember. Imperial Range 48″ Commercial Gas Griddle Counter Top Flat Grill 3/4″ Plate – IMGA-4828. Low Price Guarantee On All Imperial Range Products! A Griddle is a worthwhile investment for your food service business. This 48″ Elite Counter Top Gas Griddle with 3/4″ Plate is manufactured by Imperial, and comes with a multitude of beneficial features. It’s 48″ w x 24″ d griddle surface has 4 burners in a “U” configuration, that burns at 120,000 BTU/hr. 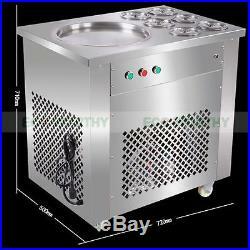 You can make a wide variety of specialty dishes with this unit. Maintenance is easy too. 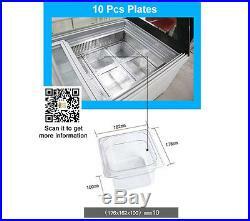 If features a 4″ stainless steel grease trough with a wide 3.5″ x 2.5 drain for easy clean up. This unit is also ETL and NSF listed for use. 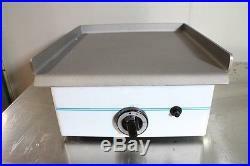 4″ Stainless steel grease trough, has a wide 3.5″ x 2.5 drain for easy cleaning. Aeration baffles between burners spreads heat across griddle for more even heating. Full width rear flue aids uniform heat distribution across griddle surface. 4 tapered stainless steel splash guard. “U” type burner located every 12 for even cooking across entire griddle surface. Each burner has an adjustable gas valve and continuous pilot for instant ignition. Stainless steel front, ledge and sides. 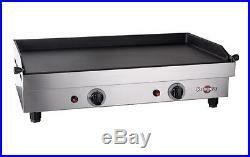 Thick 3/4 high polished steel griddle plate for a wide variety of cooking applications. Full 24 depth plate for more cooking surface. 4 Stainless steel adjustable legs. One gallon capacity removable grease can. AGA and CGA design certified and NSF Certified. LP Available With Separate Conversion Kit. This item weighs 360 lbs. But we have added 10 lbs. This website is operated by ACityDiscount, a division of Peach Trader, Inc, a Georgia corporation. ACityDiscount strives to create a positive experience for all our customers and welcomes your suggestions. We value our reputation and hope you will give us the opportunity to proactively address any concerns you may have. ACityDiscount may update these Terms and Conditions at any time. We will revise the iteration date at the bottom of this page to reflect the most recent update. We encourage you to frequently check this page for any changes. You accept responsibility for checking applicable state and local codes and for ensuring items meet those codes before purchasing. You will not hold ACityDiscount responsible for anything not stated in the listing or included in the picture, including, but not limited to, assumptions made by you or any verbal statements. If you are ordering from outside the US or intend to pay with a card drawn on a foreign bank, please contact ACityDiscount. Warranties and Condition of Merchandise. While we stand behind the accuracy of our listing, there may be some small details that are not included in product descriptions; there is no guarantee regarding accuracy of information. Merchandise must be assembled, installed, and adjusted by knowledgeable, licensed, authorized and experienced personnel. There are NO WARRANTIES of merchantability or fitness for a particular use. Your cost to repair and recharge the system should be minimal. Regarding Used Equipment with Lighting Features: We do not certify or test the lighting features of used merchandise. Under 100lbs, Girth under 150. 100-150lbs, Girth under 150. Please see the table below for more details. Schools, military bases, home businesses and churches are considered to be residential addresses. Failure to notate any defects could result in a significant reduction in the carrier’s liability during damage claims. You are responsible for filing any loss or damage claims in the manner and time frame directed by the carrier. Any reports of malfunction may require a detailed inspection report from a qualified technician. You agree to cooperate with problem identification and correction efforts. You agree to abide by ACityDiscount’s decisions regarding problem resolution. Our showroom located at 6286 Dawson Blvd, Norcross, Georgia 30093. If you give us notice, your order will be pulled to the warehouse loading dock and ready for loading when you arrive. Our warehouse staff will be happy to assist you loading your vehicle; however securing the load is your responsibility. ACityDiscount assumes no liability or responsibility for damages as a result of loads being improperly or inadequately secured. Items must be picked up as soon as possible. ACityDiscount accepts no liability for loss, theft, or damage to any item while stored in our warehouse. There was a problem caused by ACityDiscount, its suppliers or its vendors, such as the item being discontinued or being on back-order. The customer chooses to receive a store credit good for six months. Custom or manufactured-to-order items cannot be cancelled. Approval of return requests is at the sole discretion of ACityDiscount. This may be modified at the discretion of ACityDiscount. You must reach a return agreement with ACityDiscount and obtain a Return Authorization number prior to returning any items. There is no guarantee that a credit will be made for an unauthorized return. Repair or lost value charges for any damages incurred to product. Charges disclosed as non-refundable. Your account will be adjusted in the amount stated by ACityDiscount once all procedures have been followed. If you fail to follow these terms and conditions, there will be no credit. ACityDiscount’s customer service and accounting staff will work hard to complete the process as quickly as possible. Address: 6286 Dawson Blvd Norcross, GA 30093. Powered by PeachTrader, Inc. The item “Imperial Range 48 Commercial Gas Griddle Counter Top Flat Grill 3/4 Plate” is in sale since Monday, December 19, 2016. This item is in the category “Business & Industrial\Restaurant & Catering\Commercial Kitchen Equipment\Cooking & Warming Equipment\Grills, Griddles & Broilers”. The seller is “acitycustom” and is located in Garland, Texas. This item can be shipped to United States. You may also like. 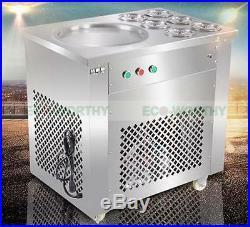 220V Fry Ice Cream Rolls Machine – Cold Slab Freeze Plate – S/Steel Pan 6 Bucket. It can use pure water, plus a prepared formula and fruit drinks, you can create a variety of soft and hard ice cream, smoothies, Ice, ice mud, slush, snow ice, fruit ice, ice porridge, fruit, etc. Processed foods taste good, rich in nutrition, refreshing & cool down. Single pan with six buckets. 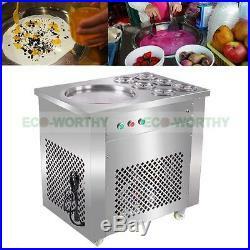 Manual fried ice cream machine. Model: One pan with six buckets model. Pan dia: about 40mm. Package: wooden box, can protect machine from damage. T/T is welcome, please. For the remaining details. The amount of tariff is consist of two parts. Arriving in 5-9 days. For the carrier to reach you once the package arrives. Cancel your order manually based on your notice, we will soft hardly choose the reason for unpaid case as the client made a mistake or changed the mind so we both agreed on order canceling. Please don’t worry about your account performance, such kind of unpaid case make no sense to the performance neither your personal credit. Or Bulk order, just. Only faulty item return be accepted within 14 days after you receiving the item. Only new original item is acceptable, including any accessories, manuals. All return should be. We are manufacturers and wholesalers of solar panels and renewable energy products. The solar business has been established since 2002. The solar panel producing capacity is around 300MW yearly. We have sun simulators, laminating machine and. Supersonic glass washing machine to make the precisely solar panel for you. OEM and ODM services are both available. We would like to be your best supplier in China. For wholesale business cooperation just. For any question at any time. We work 5 days one week. Public holidays in China is not available for message reply. 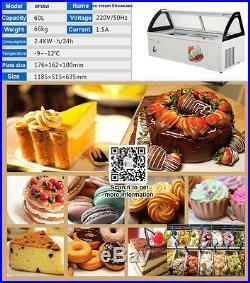 The item “220V Fry Ice Cream Rolls Machine Cold Slab Freeze Plate S/Steel Pan 6 Bucket” is in sale since Saturday, June 10, 2017. 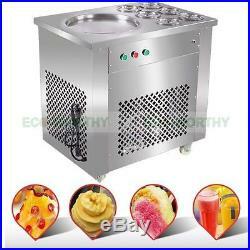 This item is in the category “Business & Industrial\Restaurant & Catering\Refrigeration & Ice Machines\Ice Cream Machines”. The seller is “qecosolar” and is located in CN. This item can be shipped worldwide. 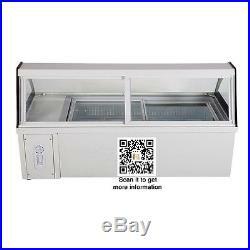 Ice cream showcase 10 taste Italian Ice cream Display Freezer 60L Mini Ice cream display Freezer -9-12 Degree. Name:Ice cream showcase. Power Consumption:2.4kw/24h. Temperature:-9 -12 degree. 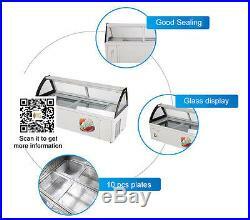 Ice cream showcase is used for freezing ice cream. 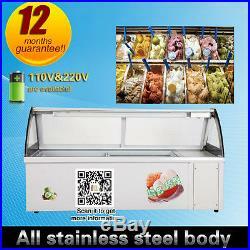 Storage ice cream, show and sale ice cream to customer. We supply 12months guarantee. The item “Brand new Italian Gelato Ice Cream Display Freezers with 10pcs cooling plates” is in sale since Monday, April 17, 2017. 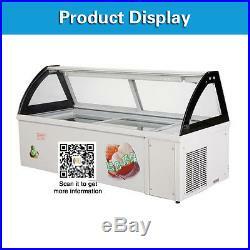 This item is in the category “Business, Office & Industrial\Restaurant & Catering\Refrigeration”. The seller is “guochunyan2012″ and is located in Hongkong. This item can be shipped worldwide. RESTAURANT EQUIPMENT & SUPPLY. Canoga Park, CA 91304. We are a family owned & operated equipment dealer in Canoga Park, CA which is about 25 miles NW of downtown Los Angeles. We have a 7,000 sq. Showroom where all of our equipment is located & just down the street we have a 4,000 sq. State of the art service/repair facility where all of our equipment is thoroughly inspected, cleaned, refurbished, & 100% tested by certified technicians before each item hits our showroom floor. This is a brand new. 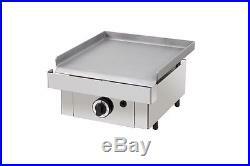 Atosa ATHP-36-6 Heavy Duty Restaurant Series 36 Wide Six Burner Hot Plate. Feel free to contact Pete with any questions you may have, thanks! Natural or LP Gas – 150,000 BTU’s. 36″ W x 27.6″ D x 13.1″ H (with 4″ legs). Occasionally we will temporarily run out of stock of an item due to high demand. You can also feel free to contact a Customer Solutions Specialist to check stock on the items you’re purchasing before your order is placed to ensure availability. Durable stainless steel structure, Corrosion-resistant & easy to clean. Simple & reasonable structure, easy to manipulate & maintain. Heavy duty burners, with stable flame. Heavy duty cast iron grates for a strong bearing performance. Independent controls to save energy. Any new merchandise with has been used in any way is not returnable for any reason. Once you sign & the driver is gone, then you are an owner no matter what the damage. Make the driver wait until you’ve fully inspected it. So your either going to need to have a fork lift handy, a loading dock, or enough man power to manually lower it from the trailer. Restaurant Equipment & Supply. The item “Atosa ATHP-36-6 brand new commercial restaurant 36 six burner hot plate” is in sale since Tuesday, June 02, 2015. This item is in the category “Business & Industrial\Restaurant & Catering\Commercial Kitchen Equipment\Cooking & Warming Equipment\Grills, Griddles & Broilers”. The seller is “torokitchen” and is located in Canoga Park, California. This item can be shipped to United States. Infernus products are high quality & well known for their reliability. Designed to meet your expectations as well as your budget. Hygienic and easy to clean. Strong, solid and durable. Built for professional use. 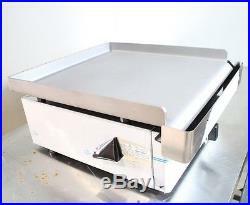 THIS LISTING IS FOR THE INF-GG-40 RP GAS GRIDDLE ONLY. Ideal for busy catering professionals. Ade from Stainless Steel for lasting quality and a hygienic finish. The Infernus stainless steel gas griddle has. Excellent build quality due to its stainless steel construction. 6mm thick steel plate, making it ideal for mobile catering use. 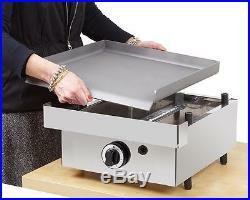 Is very easy to clean (or move about) thanks to its removable griddle plate. Comes with Free NAT gas conversion kit and drip tray. 1 stainless steel burner. LPG with Natural gas conversion kit and plate. 6mm thick steel plate. Power: 3.3 kW (11,380 BTU/hr). Gas hose connection point on left & right hand sides so customer can choose. Dimensions: 415(W) x 450(D) x. Cooking area 380 x 390 (mm). Fuel: GAS (LPG or NAT). Perfect for mobile catering. SEE THE FULL INFERNUS GAS GRIDDLE RANGE. Here at Drummond Catering you will find the best high end commercial catering equipment at unbeatable prices. We sell top-end catering equipment. And we supply to restaurants, cafes, pubs, hotels, clubs, bars, professional chefs, commercial and commercial kitchens of all kinds. Our team of experts are constantly working round the clock to source new products from all over the world to help us expand our range with only the best quality products. We are one of the UKs number one suppliers for catering equipment. We sell products such as stainless steel sinks, cookers, fryers and lots more! We also sell a wide range of electric convection ovens, gas ovens, hot and cold display showcases, spiral dough mixers, mincers, slicers, kebab machines, refrigeration equipment and the list goes on. We have built a reputation for meeting the demand of our customers and providing them with a great service. As a family run business we pride ourselves on providing a personal friendly service. If you need to speak to someone directly or if there is something you need which is not on our website, we will be more than happy to help with any of your requirements you may have. As our product range is constantly expanding everyday, please check our site regularly for new product updates and fantastic special offers! For the best quality commercial catering equipment look no further! The following terms of sale apply. Please pay for your item promptly. When your item is delivered, please check your item before accepting it. If your product is unwanted you can return it to us as long as you return the item unused, undamaged and in it’s original packaging. The item “New Infernus Gas Griddle 40cm Italian griddle hot plate Parry Lincat style” is in sale since Saturday, December 12, 2015. 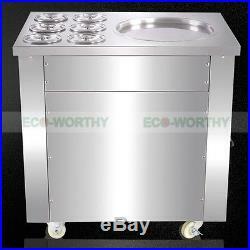 This item is in the category “Business, Office & Industrial\Restaurant & Catering\Kitchen Equipment & Units\Contact Grills”. 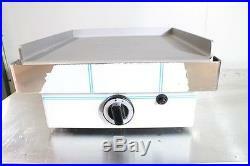 The seller is “cateringshop” and is located in CAMBRIDGE, CAMBRIDGESHIRE. This item can be shipped worldwide. Plancha gaz grand modèle. 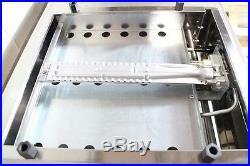 Gas griddle plate large model. 09 50 57 24 05 (fr). Non compris dans cette offre. Not included in this offer. La plancha Krampouz permet de proposer une cuisine à la fois saine et variée. Sa polyvalence, sa rapidité et sa répartition homogène de chauffe en font un incontournable dans le domaine du snacking. 2 zones de chauffe avec deux grands brûleurs – Plaque de cuisson en fonte, certifiée contact alimentaire, avec rebords – épaisseur : 6 mm – Châssis inox avec aération renforcée – Bac amovible de récupération des jus et déchets – 4 pieds réglables – Alimentation gaz Butane/Propane ou Naturel – Sytème de sécurité en cas de coupure de la flamme – Allumage piézo-électrique. Rapidité de montée en température Deux zones de chauffe Ergonomie du poste de travail. Surface de cuisson : 732 x 409 mm. Puissance : 2 x 3000 W Poids : 30 kg Dimensions : 805 x 485 x 231 mm. Allows for both healthy and varied cuisine. Its versatility and speed make it a must. In the world of snaking. 2 heating zones with two large burners – Cast iron cooking plate, approved for use with food, with raised edges – thickness : 6 mm – Stainless steel frame with extra ventilation – Removable tray for liquid and waste recovery – 4 adjustable feet – Supply by butane/propane or natural gas – Safety sistem in case of interruption of the flame – Piezoelectric lighting. Two heating zones according to model Ergonomic work station. Cooking surface : 732 x 409 mm. Power : 2 x 3000 W. Size : 805 x 485 x 231 mm. Visibles et semblables à notre site Internet. Visible and similar to our website. L’outil de mise en vente gratuit. Mettez vos objets en vente rapidement et en toute simplicité, et gérez vos annonces en cours. The item “GAS GRIDDLE PLATE LARGE, PLANCHA KRAMPOUZ GAZ” is in sale since Sunday, March 27, 2016. This item is in the category “PME, artisans, agriculteurs\Hôtellerie, restauration\Appareils de cuisson”. The seller is “regalo.france” and is located in Balma. This item can be shipped worldwide. 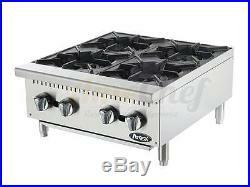 NEW 24 Hot Plate Cook Top Range Atosa ATHP-24-4 Open Burner Stove NSF. Kit for LPG included. Needs to be installed once item is received. P r o d u c t I n f o r m a t i o n. Durable stainless steel structure, corrosion-resistant and easy to clean. Simple and reasonable structure, easy to manipulate and maintain. Heavy duty burner with stable flame, standby pilot. Heavy duty cast iron grates for strong bearing performance. Independent manual controls to save the energy. Adjustable stainless steel legs. 4 independent manual control burners. Total BTU: 10,000. Nozzle #53 (LPG) or #43 (NG). ETL and ETL Sanitation Certified. P r o d u c t D i m e n s i o n s. (d) x 12.7 (h). S h i p p i n g I n f o r m a t i o n. To lower 48 states only. Residential Deliveries and Liftgate Not Included. The item “NEW 24 Hot Plate Cook Top Range Atosa ATHP-24-4 Open Burner Stove” is in sale since Tuesday, July 19, 2016. This item is in the category “Business & Industrial\Restaurant & Catering\Commercial Kitchen Equipment\Other Comm Kitchen Equipment”. The seller is “amechef” and is located in Miami, Florida. This item can be shipped to United States. McDonald Paper & Restaurant Supplies. 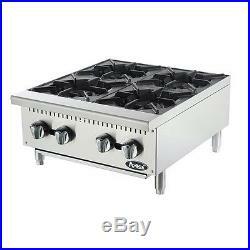 Atosa ATHP-24-4, 24-Inch Heavy Duty Four Burner Hot Plate / Countertop Range. Atosa ATHP-24-4, 24-Inch Heavy Duty Four Burner Hot Plate / Countertop Range, is a commercial equipment unit, designed to provide reliable performance for many years. The heavy-duty burner hotplate is an essential item for any commercial kitchen since it is easily moved from one location to another, providing comfort in use. Thanks to its 4 independently controlled burners, the unit allows you to cook separate orders at the same time. With the total power output of 100,000 BTUs, it ensures full-size performance. Featuring stainless steel construction with cast iron grates the unit is built to last and brings convenience to your kitchen. Height (Inch): 12.70. Weight (Lbs): 97.00. : 4 (NG)/10(LP). Number of Burners: 4. Power Output (kBTU/h): 100. Our showroom is located in Sunset Park (Bush Terminal) at the following address. 58 50th St, Brooklyn, NY 11232. Please give us a call before coming in, to be sure your order is ready for pick-up. To initiate a return and to receive a return authorization. The item “Atosa ATHP-24-4, 24-Inch Heavy Duty Four Burner Hot Plate / Countertop Range” is in sale since Monday, June 13, 2016. This item is in the category “Business & Industrial\Restaurant & Catering\Commercial Kitchen Equipment\Cooking & Warming Equipment\Ovens & Ranges\Ranges”. The seller is “mcdonaldpaper” and is located in Brooklyn, New York. This item can be shipped to United States.